AiClay - a Haven of Miniature Food: It's a wrap! Before I forget all about it, I wanted to pen down my after-thoughts for the filming which took place 2 days ago. That's my mom in the green top, she also had a small part in the filming! Sadly I didn't have any photos of myself during filming, so we'll have to make do with this. Firstly, there have been quite a few people asking how did I manage to get all of these media appearances, on television and newspapers. To clarify, it was always by invitation and usually somebody from the filming crew/journalist circle would be the one finding out about my site and works and suggesting it to the head in charge. And of course they would have to approach me if I was interested and things would start rolling from there. :) So a suggestion to crafters who would like to get their works noticed by media producers, do get your work out there on as many sharing platforms as you can. Like social network sites, facebook/twitter/flickr etc. 1. Too many make-up products out there! Haha, this probably sounds really random but as I had to put on make up for the shoot, I did have to venture into the crazy, expensive world of make-up. Besides wedding dinners or extra-formal events, I hardly ever wear make-up and have always borrowed my mom's products even during those rare times. So yes, I ended up buying concealer, lip butters, and learnt all about primers, eye gels, lip glosses etc. 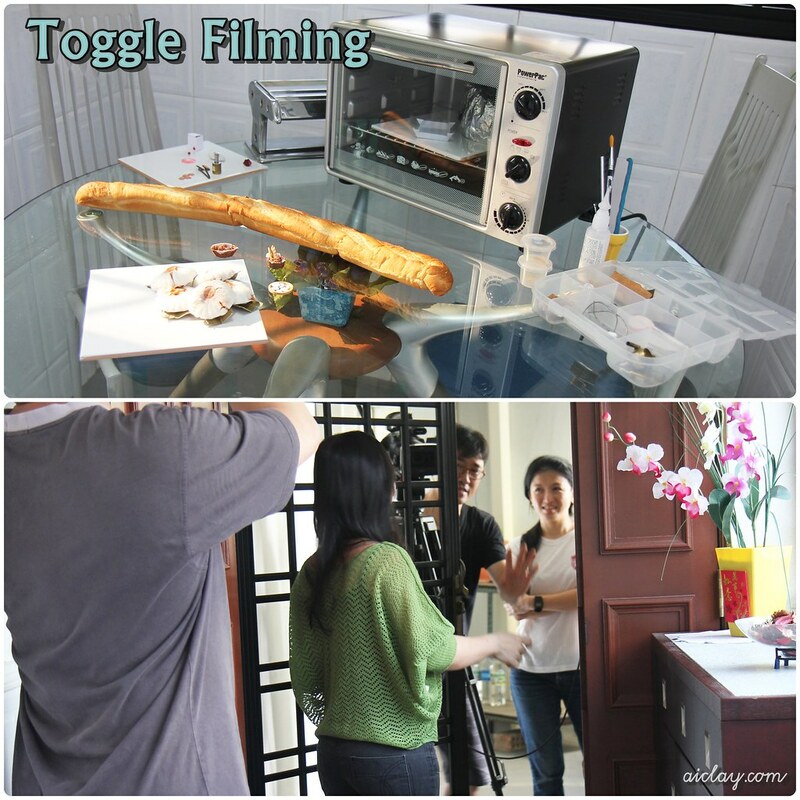 Filming was done at 3 locations, the playground, my bedroom and the dining area. 3. Take a moment to think about what you say on camera. This is related to the previous point. After the filming I started recalling what I had been saying while the camera was rolling. And I so regretted a lot of it, because they weren't true reflections of what I felt and thought. For example, the host asked me why I had chosen this path when I could get a job in the media industry since that's related to my university degree. She asked this same question 3 times, and everytime, I gave her different answers. Sometimes I got side-tracked and started talking about how I had chanced upon clay and realised people liked my works enough to want to buy them. Another time, I told her that my parents had always instilled the belief that happiness and health were the most important things in life. But now that I've had 2 days to mull over the question, I know my true answer. 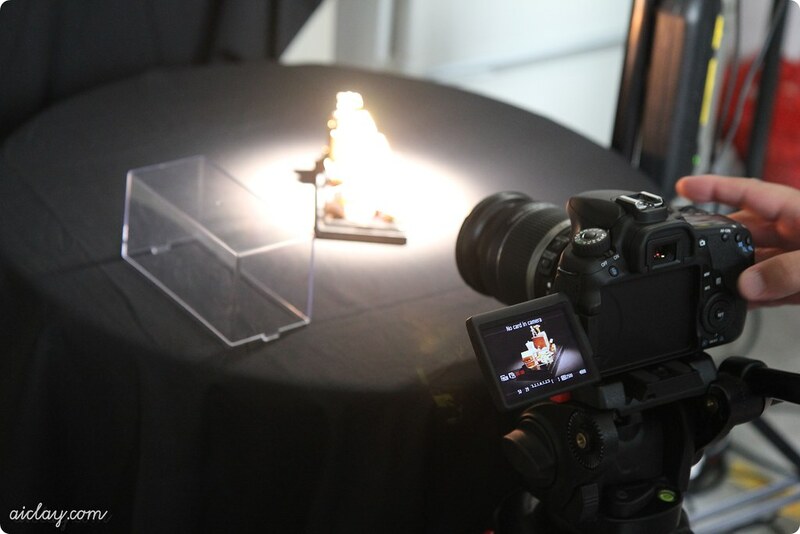 My miniature works were sitting on a little platform which was whirling around, while being filmed. 4. Nobody decides when to stop filming until the producer/director says so. Many times I got tempted to go "waittttt! can we cut here?" during filming. Like when, I was stumbling over my words during the miniature food demonstrations. Or when the neighbour's baby let out a huge wail and I stopped mid-way while talking, wondering if that would affect audio. 5. Never look at the camera. Well, I guess this depends on the type of filming style the program required. For my program, I was not supposed to acknowledge the camera or audience at all, just the host. After so many years of being camera-ready and smiling at the camera during photos etc, this took some adjusting to. 6. My neighbourhood is really noisy! Even though we had small microphones secretly planted in our clothes, atmospheric sounds and noises would still be picked up on by the sensitive booms. A few times we had to halt filming because of various interruptions. The drone of a passing aeroplane, laughter of kids playing at the playground below, slamming of doors by neighbours..
7. A Noddy take. Do you know what's that? It's the filming of just the host, nodding her head and reacting as if I was replying her questions. I also had to be present, so that the host had a point of reference but I was just blankly watching her nod through out. It did get a tad awkward and I looked away a few times haha. I guess the editing team will be cutting the Noddy take and inserting them in between questions during the interview. 8. In between takes, do not remove or reposition any objects within frame. This includes the chair you're sitting on, any tools you have on the table, your hair. Or if you went for a toilet break, make sure not to get any part of your clothes wet. All of this is for continuity sake, so that the final edit would look like everything was filmed in one take. 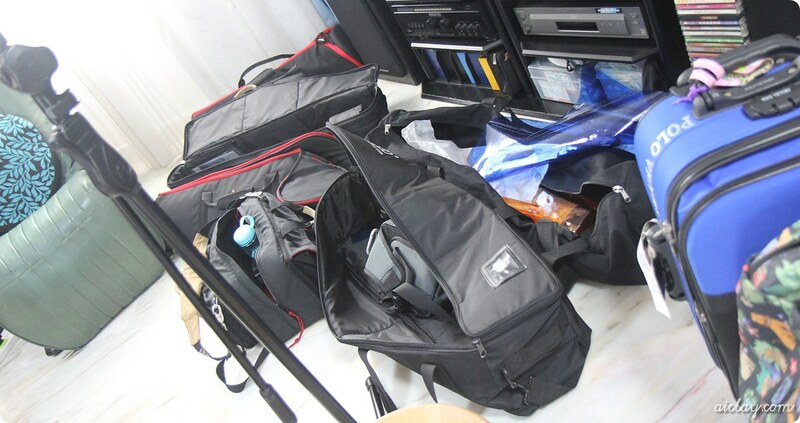 Look at how much filming equipment there was for just a small one-day shoot! There were some more which were out of frame. 10. Anything can happen behind the scenes. What you won't get to see in the actual episode - the gingerbread man flipped over before the frosting was baked and it was smeared. Due to time constraints, there was no way to refilm the entire process and I had to try to repair the damage done. But it still looked pretty horrid. :( And the producer just informed me that everything is shot in HD quality, oh noes. 11. Saying 'this is the last scene' is taboo during filming. Apparently, the word 'last' is unspeakable until filming is wrapped up. 11. Filming is TIRING. I was up since 6am and started filming from 8am all the way till 5pm, with a 45minute lunch break in between. All of this footage for just 10-15 minutes worth of broadcast in the end. I'm no longer surprised when 2-hour movies take up to a year for shooting. I can hardly imagine all the logistics that goes into it! So that's about all I can remember from the shoot. 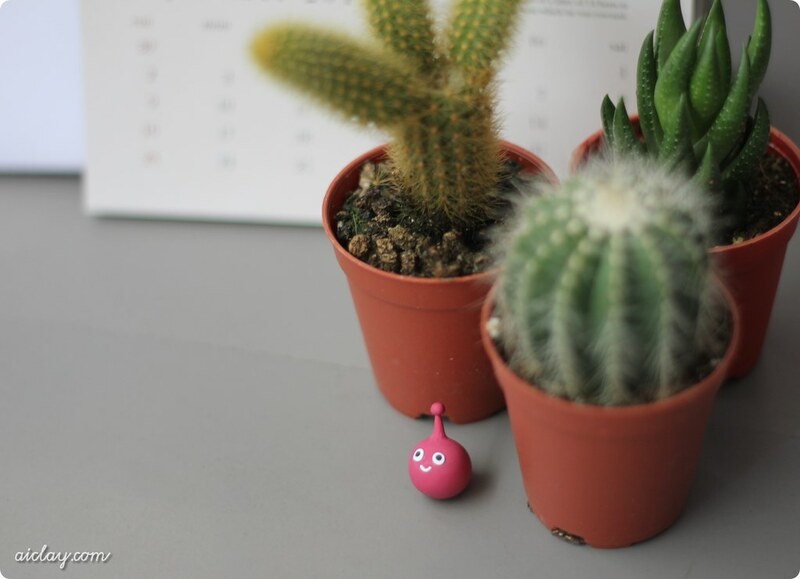 The little Toggle mascot which I sculpted as a surprise! Finally I want to say a huge THANK YOU to the filming crew. Congretulations....soon you will be very fanouse!! hahaha I'm still not sure if it's going to be shown on regular tv programming or maybe some other kind of wackiness, but at least now I can strike off Filming for a tv show off my bucket list hahah. Oh my goodness, I'm so happy for you!!!! That's spectacular!!!! You work so hard and produce such great quality items that I'm not at all surprised that they picked you for the tv spot. Congratulations!!!!!! You are one lucky girl. I don't think I can choose between happiness/passion vs practicality. Need $$ for my kid, support my parents, pay off loans etc... Maybe if I were younger :). Look forward to seeing you on TV!